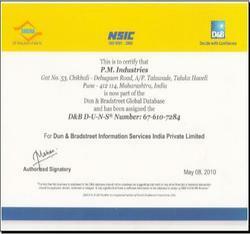 Our company, PM Industries Process Equipments Pvt. Ltd., established our presence in 2004 is well known in industrial circles as a Manufacturer, Exporter & Supplier of Highly Precise Process Equipment. Our product range is Industrial Dryers, Industrial Evaporators & Industrial Mixers. Our industrial blenders are used in industrial processes by the Food, Chemical and Pharmaceutical sectors, and the Steel industry. The other sectors that use our equipments are: Paints & Dyes, Inks, and Minerals. We manufacture a wide range of drying industrial blenders. 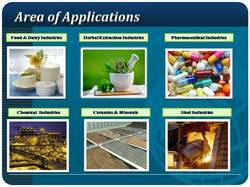 The requirements of these industries are not identical; in fact, within the same factory, different types of equipment are usually required for different products and processes. We, at PM Industries, work in close coordination with customers to facilitate the design, fabrication and installation of customized equipment. Detailed discussions with the client's engineers are crucial in this process. We have frequently designed and developed tailor-made blenders for the client's specific needs, not only in terms of the correct process, but also in terms of size, space occupied, energy consumption, cost effectiveness and other factors. From our location at Pune, we are able to serve numerous clients in a variety of industries. Western Maharashtra and Gujarat are highly industrialised, and we have a large clientele in this region. In fact, many industrial units, small and large, located near Pune have made use of our services. In the bargain, our engineers and machinists have faced and overcome new challenges, and our clients have been given equipments that best serves their purpose. As no two situations are identical, our engineers learn to innovate and gain in experience. So versatile and innovative are we in this field that a variety of mixer blender has been manufactured at our factory: Spray Drying Plant; Spin Flash Dryer & Agitated Vessels; Condenser; Dairy Equipment; Ribbon Blender and many more. The very fact that our company has satisfactorily fulfilled orders orders from clients from different industries is proof of the esteem with which we are held in industrial circles. We are a proprietorship firm functioning under the esteemed guidance of Mr. Pravin M. Pawar. We are exporting our products across the globe. We endeavor to expand our engineering business by being one of the eminent manufacturers and suppliers of custom and standard configured equipment and creating best value for our customers. Ever since our factory went into production, our stress has been on the quality of our products. We are conscious of the fact that our equipment is used in key industries like food and pharmaceuticals, where the products have to be of consistent quality. Though not directly involved in these manufacturing processes, our company has the responsibility of supplying reliable equipment. Our team of quality experts are a dedicated lot; their mission is to see that our company's equipment consistently meets industry standards of precision and quality. The quality and performance of all our equipment is repeatedly checked at every stage of production, designing and metal fabrication. Our organization has adopted quality standards that are comparable to international standards. Our company has been granted the internationally recognised TUV certification of quality. Our clients benefit from the custom-designed equipment with added assurance of quality. PMI starts with Clients, We provide ‘’solutions of Excellence' to our clients in the process industry. Our system to completion, design and engineering services are customized to suit the specific requirements of each client. Our clients sprayed in worldwide. PMI focus on supplying standards, better quality, client’s fulfillment equipments & turnkey projects. 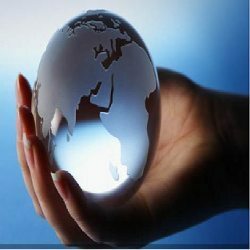 Our scope of market is in South Africa, Germany, shri lanka, and Gulf Countries. Lead in the Innovation and Delivery of the Products brands costumer experience through amazing people and amazing services. We hire people seeing their strength in their respective domain. We have a dedicated set of engineers, designers and a large team of staff. Our competent professionals put enormous efforts to accomplish the pre-defined organizational goals. Further, these professionals keep a close contact to understand their requirements more appropriately.